SSN embeds itself in your system tray. from there, you can create a new note, which appears as a yellow sticky note to start. 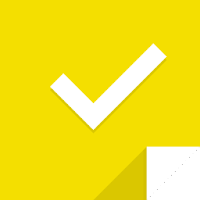 If you don't like the color yellow, it's not an issue as the color and transparency of each sticky note can be changed and adjusted. You can also adjust the size to suit the context. New tray menu item "New Note from clipboard"
Disclaimer: Direct downloads for the lastest version of Simple Sticky Notes 3.6.1 are provided by the official software's author, we can't guarantee safety, availability or download speed. Moreover, we don't and we won't provide any pirated/illegal versions or tools. We recommend you to avoid it as these methods can harm your device. If you like the software, buy it to support the developers. (We provide software discounts for many worldwide brands).